I just wanted to give a little feedback on the orders packaging. I'm fully satisfied with the products and shipping delays etc. But, i would just ask if it would be possible to get stronger packaging for orders going all over Europe. 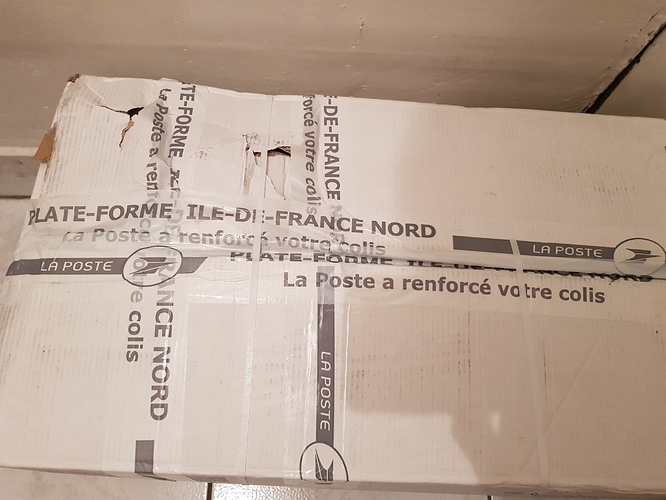 Here in France i always get my packages busted or opened. I received my previous order in such a state that i almost declined it. I'm not blaming you, the padding and all is ok and does the job as only the box suffered damage. But knowing how the postal service take little care of the packages they handle i feel a stronger tape or more tape to close the boxes could be nice, so we don't get orders that looks like this (see photo). All my orders have been complete and undamaged so far, but i'm afraid one of this days something will fall of an busted open box or so. I’m really sorry to hear that your order arrived in such a bad state . Also because you mention that it happens more often. Luckily your bags inside the box were not damaged so far. 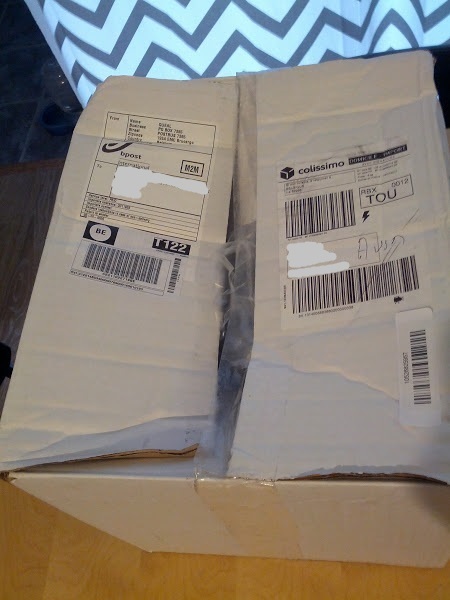 Of course, this is not how we want our packages to arrive at the customer. We will review our packing- and shipping-procedures to avoid such a thing in the future! 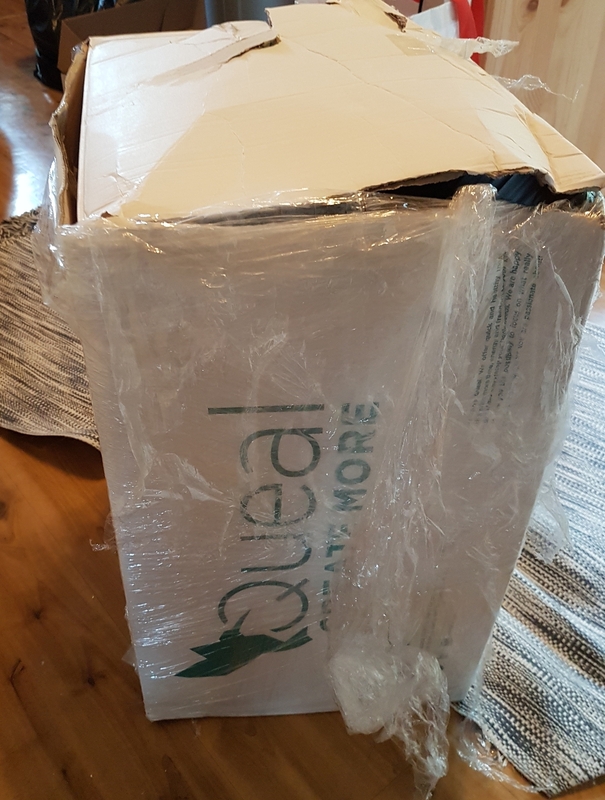 FYI, nearly all my Queal packages that arrived in France were really damaged, some of them even had tape added by the french postal service because the original one was nearly broken. Hey @Hyperkatt, I assume the upper side of the box is something you did when opening the box, right? They might have tried to somehow protect the box from falling apart. Which is of course also not really a positive thing We have changed our packaging lately, the cardboard is now two levels thicker so it's unfortunate but valuable to hear that it is still not surviving every shipping though. It honestly looked like it got dropped off the truck or something and exploded. Last box I received (this week) was really damaged and I had to sign a damage report. During that time I actually had a chat with the delivery guy about this issue. He said that the problem is that the warehouse workers are picking up these packages using their fingers in the openings/gaps on the edges of the box. And it usually snaps after a while. Queal is packing these using one tape over the middle only. So the general idea would be to reinforce the edges of the box with extra tape. I’ll just chime in that I have never had a problem with the box and I receive the my order in the same box. In fact I think these boxes are more sturdy then what you get from other online retailers and I save and reuse these boxes and usually immediately recycle other boxes. We indeed use a cardboard one step sturdier than 'normal' for the weightclass we are in. The quality of tape is indeed something that we have had issues with in the past, though we have upgraded this also a few months ago. Of course we're still happy to receive any and all feedback, positive or negative! Same here, this was in January of this year, in France. The box had been reinforced by the transporter and one bag was opened and had spilled its content on other bags. I've just made a new big (20 something bags) order so I hope that it's fixed now. We have definitely listened to the feedback! Currently, the packaging we ship in is temporarily 'simple' brown carton, as we move onto the rebranding. But by July we're introducing the new branded boxes, and those will be sturdier. Especially the small/Taste Tester box is getting a big upgrade in terms of strength and unboxing experience. ship in is temporarily 'simple' brown carton, as we move onto the rebranding. Good to know as I came to complain after many orders of Queal coming in the strong white box with logo, my queal came in a "normal" Brown box that had nearly fallen apart in the Transport. the bags were fine though. Good to know as Ive just placed my first order - for a taste test. Fingers crossed that it all arrives fine later this week.Looking forward to trying the different flavours. The weight is just to high for the boxes I you ask me. This was mine from my last order (month ago). I was amazed none of the bars fell out. Hey @myristica, have you received a box with the new branding or a temporarily brown carton box? In case you took a photo, I'd be happy to see the damage. It was a box with branding, and I didnt took a picture. But it looked something like the tear as in the picture above. 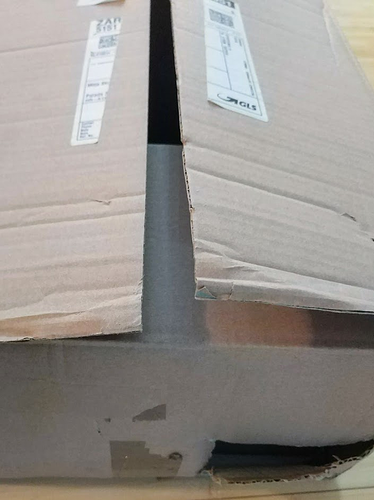 The box also looked like it was swelling from the weight pressing from the side. Ive received my taste test 7 bag order. it was in a tall half white, half green box - no issues. Box is obv capable of holding more and had packing to fill the space.